Know somebody who might be suffering from back pain during their pregnancy? Is it you? Back pain is a common effect of pregnancy and chiropractic care is a helpful option for an expecting mother. In a recent study by Lisi AJ in the ‘Journal of Midwifery and Women’s health ‘ 2006, the majority of women reduced their low back pain scores following a chiropractic treatment during acute episodes. As a drug free therapy chiropractic care during pregnancy is also useful because it minimizes effects on the fetus. Eli Lilly once said, “the drug with no side effects is no drug at all.” Consequently, no drug should be prescribed during a pregnancy without taking into account the risks to the baby. Sulfur drugs, non steroidal anti-inflammatories, alcohol, cough syrup and over the counter cold remedies have all been linked to fetal damage and miscarriages. Since it is a biomechanical science, chiropractic care can help keep a woman’s body aligned and structurally flexible. It’s goal is to help break free from nerve interference. Nerve interference is especially difficult to deal with during the third trimester. This trimester results in hormonal changes that produce a laxity in the pelvis and ligaments call progesterone. The progesterone hormone has often been called the nuisance hormone due to the pain related with it. This is a normal part of the pregnancy as the pelvic joints undergo bone changes to accommodate the birth. In our own practice it is not unusual to provide chiropractic adjustments on a more frequent basis. To help cope, try dietary changes like increasing proteins, stretching exercises and avoiding recreational drugs. Chiropractic care is also an important part of any treatment program. Chiropractic care during pregnancy has also been shown to help control morning sickness, cut short premature contractions and reduce back labor. It has also proven useful to correct breech presentations in which the baby has failed to turn properly for birth. Developed by the late Dr. L Webster, the Webster Technique has proven successful in correcting breech presentations. For more information on how Chiropractic Care And Pregnancy can affect your upcoming family, check out the link below or visit our website at www.drsadlon.com. 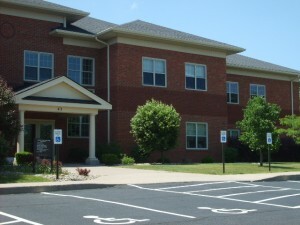 Located in Penfield NY the office serves Fairport, Brighton, Pittsford and the greater Rochester NY area.